Learning to shoot a compound bow can be an exciting adventure for new archers. As veteran archers know, not every bow is suitable for the newest hunters. Rookie hunters can quickly be overwhelmed with all of the beginner compound bow options available for them. 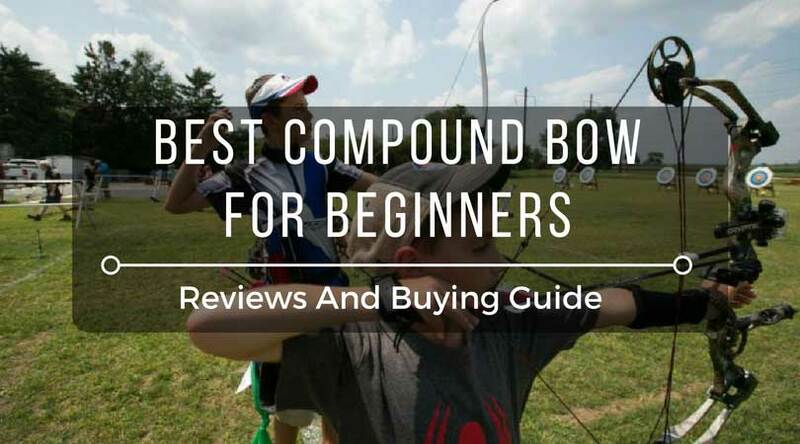 Fortunately, finding the best beginner compound bow is not as difficult when the beginners know what to look for. The key to finding the best bow for beginners is knowing what features are essential to successful shooting, and what features are unnecessary. What Bow Length Does ﻿A﻿ Beginner Need? What Speed and Noise Is Ideal﻿﻿ ﻿F﻿﻿﻿or ﻿A﻿﻿﻿ ﻿﻿Beginner? What Should Beginning Shooters Know ﻿A﻿bout Bare vs. Ready-to-Shoot Bows? How Much Let-Off Should ﻿﻿A ﻿﻿Beginner Compound Bow Have? What ﻿A﻿bout ﻿T﻿he Axle-to-Axle Length And Weight Of ﻿T﻿he Bow? Pick the bow that the teachers use! The Genesis RH Lost Camo bow is another excellent choice for beginners, and the best archery teachers know it. This bow gets outstanding reviews from men, women, and children who have shot the bow at targets and at game. 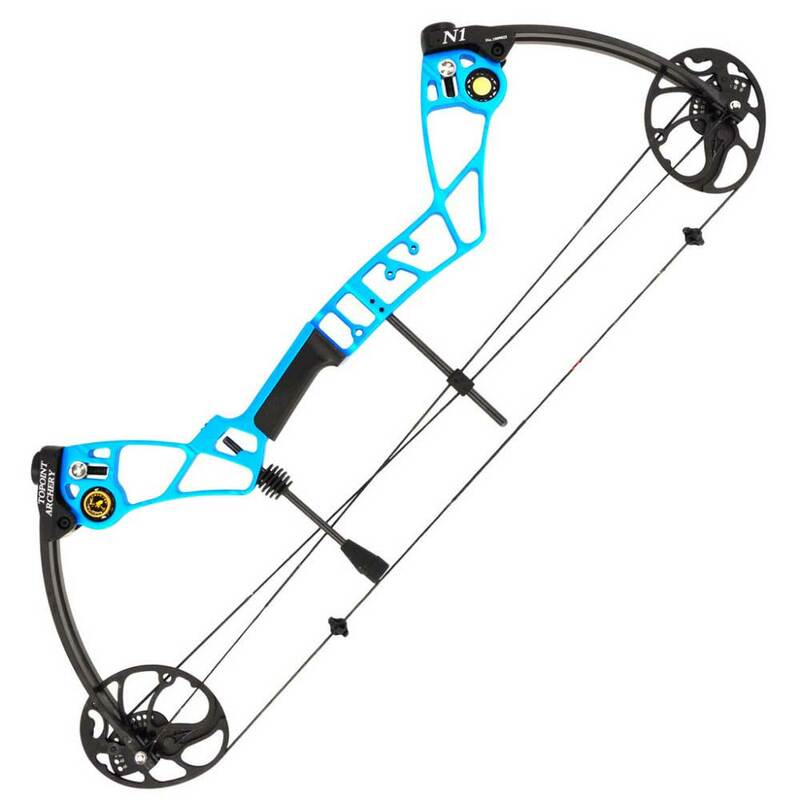 Schools that teach archery use this bow because it is so well designed for young bodies. It is made of 6061-T6 aluminum, making it durable and lightweight. The bow has a split-limb design made of a composite material. It includes a competition grip, as well as a cable guard made of stainless steel. The cable slide and NAP flipper arrow rest keep the user safe. The riser is prepared for accessories. The bow has zero let-off, so no adjustment is ever needed. It has a universal draw, making it accessible for every user. Even though it is designed for children, the bow can be used by anyone, and the power is remarkable. There is no reason to spend a fortune on a compound bow when the Diamond Archery Infinite Edge Pro Bow is available. This compound bow for beginners repeatedly gets five-star reviews from owners. They love the quiet, smooth, and accurate shots it makes. It is easy to maintain, and even easier to adjust with the turn of a pair of hex bolts. With two quick little adjustments, the bow can be used by youth hunters and adult shooters. It is lethal, with its 30-inch draw length and 70-pound draw weight. It delivers an arrow at 310 FPS, and can take down any game in the U.S. The bow comes pre-assembled, so it is ready to use right out of the box. Imagine being a young hunter with a bow that shoots with serious power! The SAS Siege 55-pound Compound Bow is a perfect beginner’s compound bow, even though it has power like a veteran’s bow. This high-quality bow is considered a top starter bow because of its balanced construction and durable strength. It measures 41.5” from axle to axle with a 29” draw length, and a quick 206 FPS. The bow has a draw weight up to 55 pounds, and the bolt can be adjusted to add or subtract five pounds up or down. The limbs have back-pivoting limb pockets, so the shots stay accurate. The bow looks as great as it shoots, thanks to the design of the riser and waffle cutouts. The bow has a 70% let-off, so it has an easy draw for young shooters, but it releases with power. If your young archer is still growing, the Barnett Vortex 45-Pounds Youth Archery Bow will help you save money! This bow is adjustable, so you do not have to spend money year after year on a bow that fits your growing child. The bow has an adjustable draw weight between 16 and 45 pounds. The lightweight bow has a draw length that can be adjusted to any distance between 21 and 28 inches. Young shooters will feel great using this bow, because it looks just like the adult versions from Barnett. The draw does not require a bow press to change the weight. This bow is extremely affordable, and is a good choice for kids who are ready to shoot but need plenty of practice before they get out in the field. You cannot go wrong picking the Crosman-Elkhorn Jr. Compound Bow for a beginner. Young hunters love this bow, because it looks just like dad’s bow. Parents love this bow, because It does not require any assembly and comes ready to shoot. The bow is durable, and has composite limbs, a large sight window, and a center-shot riser. The cams are composite with all-weather strings, as well as a cable guard for safety and performance. The lightweight draw of 17-21 pounds makes it accessible for archers as young as 8 years of age. It has a 33” axle-to-axle measurement, and a maximum draw of 26 inches. The brace height is only eight inches. The bow only weighs 12 ounces, so it is easy to carry back and forth to the hunting site. This is a low-priced bow, but it shoots like it is costs much more money. Kids love shooting this bow and parents love that it is easy to use and will not empty their wallets. When new shooters look for bows, they have many options to consider. Compound bows can be complicated tools because of their draw lengths, draw weights, and other features. A beginner’s bow should not be as big or as powerful as the bow a veteran hunter would use, simply because the bigger bows require more skill to master. What Is The Ideal Draw Length For A Beginner Compound Bow? Young hunters can get turned off to shooting if their bows do not fit them. So ideal draw length is important. The ideal draw length for beginning hunters all depends on the size of the hunter. The best way to determine the ideal draw length is by using the wingspan method. To measure draw length, it is best to stretch arms in a T-shape, then measure from the longest fingertip to the longest fingertip. Draw lengths should be based on the measurement. For someone with a 61-inch wingspan, the perfect draw length is 23 inches. For every increase in inches in wingspan, the draw length should increase by a half of an inch. So a person with a 65-inch wingspan would need a 25 inch draw length. It is often helpful to buy a beginner’s bow with an adjustable draw length because children grow so quickly. When selecting draw weight, the rule of thumb is to go with 75% of the archer’s strength. Since beginners are new to hunting, they often have no idea where to start with draw weight. If a bow is too heavy, the archer will become tired too quickly, and will not be able to enjoy a full day or weekend of shooting. So that young hunters can enjoy shooting, a lighter draw weight is a good choice, even if the draw weight does not send the bow with outrageous power. Eventually, the young hunter will become stronger and will appreciate the power that a heavier draw weight delivers. A child who weighs less than 70 pounds does not need anything bigger than a 15-pound draw weight. A child between 70 and 100 pounds will enjoy a bow that has no more than 25 pounds of draw. A 100- to 130-pound child could use up to 35 pounds of draw, and the same goes for a woman of the same frame. As the person increases by 30 pounds, the draw weight should only go up 5 pounds. A large man does not need anything higher than a 75- to 80-pound draw weight. What Bow Length Does A Beginner Need? The length of the bow is another important feature that new shooters should consider. This is different from draw length, and the size of the bow should be based on the size of the child. The size of the bow does not necessarily need to be based on the height of the child, but on what the child can comfortably handle. So the best way to choose the length of the bow is to bring the new hunter to the outfitter and let the rookie tryout different lengths. Many experts like bows that are longer, rather than shorter. To determine the bow length, measure the distance between the axles. Most are between 30 and 32 inches. A good outfitter will be able to find the perfect model for the size of the rookie. Without a properly sized bow, the hunter will not want to shoot, because it will be uncomfortable. No one wants to waste money on a bow that will never be used. What Speed And Noise Is Ideal For A Beginner? Bow speed is called FPS, or Feet Per Second. The higher the number, the faster the arrow travels to the target. The FPS is based on the draw weight, and the higher the draw weight, the faster the bow will travel, simply because of the force of the release. Since new shooters tend to have a lighter draw weight than veterans, the FPS will not be very fast. Shooting can be overwhelming to new hunters, so a slower FPS is helpful. If the bow is adjustable, it can be helpful to increase the draw weight as the shooter improves and gets used to the speed of the arrow. The newest bows have FPS speeds around 350, but this can be too much for new hunters. Hunters not only like to consider the speed of the bow, but the noise the bow creates too. The best bows are quiet, because they do not disturb the target game. In most cases, the noise the bow creates comes from the vibration that is left over from the lost energy when the arrow fires. All hunters, regardless of experience, can benefit from vibration dampeners being added to their bows. What Should Beginning Shooters Know About Bare vs. Ready-to-Shoot Bows? Experienced archers are able to find any compound bow, and deck it out with the necessary accessories. New archers generally have no idea what to do with a brand new bow. This is where new archers need to consider whether they want a ready-to-shoot bow or one that comes with absolutely nothing at all. The ready-to-shoot bow will come fully loaded with all of the necessary accessories, and usually requires no assembly at all. Compound bows need to have arrow rests, sights, quivers, noise dampeners, and other accessories. Bare bows have nothing but the bare bones machine. Many hunters like the idea of a ready-to-shoot bow, because it takes the thinking out of buying a bow. The added accessories are usually good products, and they let the archer simply open the package, test out a few shots, and start hunting. The bare bow, on the other hand, does require more work. And this work costs money and uses precious time. When a hunter needs to outfit a bow, that hunter needs to investigate which accessories are the best for the hunter’s needs and budget. The hunter also needs to know how to install those accessories or pay the outfitter to do it. Hunters need to look into the style of bow, the cams, risers, limbs, and other parts of the bow to determine whether the preferred accessories will fit. With a ready-to-shoot package, everything is ready to go, and the accessories are often added at a bargain price. How Much Let-Off Should A Beginner Compound Bow Have? A beginning bow hunter might not even think about let-off until the first shot is fired. When the bow is released, the let-off is the way to reduce the amount of strength the archer needs to use when pulling the bow back. For some hunters, a high draw weight can make a bow inaccessible, but with let-off, the bow can be fired comfortably. Some bows will have let-offs around 75% or more. So a bow that has a draw weight of 70 pounds will require only 17 pounds of draw if the bow has 75% of let-off. When the let-off is that low, the new hunter will be able to fire a more powerful bow without having to worry about getting exhausted after a handful of shots. With more let-off, the archer can take more time to aim without having to worry about shooting quickly. What About The Axle-to-Axle Length And Weight Of The Bow? The actual length of the bow is determined by measuring from axle to axle. It is unnecessary to measure past the axles, because the rest of the bow does not necessarily affect the draw and release of the string. Many of newest compound bows measure about 32 inches, which is the preferred measurement for hunters today. There are some bows that have two additional inches in their length, but these bows are used more frequently for competition and hunting. The 32-inch bows are preferred by hunters, because they can fit nicely into tight spaces. The longer bows that measure 36 inches or more are only used for competitive shooting. New hunters who are smaller in frame might actually appreciate a shorter bow around 30 inches, simply because they are better suited to tree stands. Children can use bows that are between 25-inches and 30-inches.